This is the ultimate destination animal sanctuary! Located .06 miles past the airport on the small island of Lanai, Hawaii, is Lanai Animal Rescue Center, or L.A.R.C., a no kill cat sanctuary. L.A.R.C. shelters around 380 cats. The “enclosure” is created in an outdoor setting, using the natural environment to build on and around. Started mostly from volunteer labor, L.A.R.C. has flourished into a functioning 501- c(3) non-profit. They are always looking for volunteers, especially on the 2nd Sunday of the month. The layout of the sanctuary was planned well. As you enter, there is a small fenced area where guests sign in and place booties over their shoes. This area is also security in case a cat sneaks past you on your way into the main area of the sanctuary. As guests sign in, the cats begin to gather at the main entrance awaiting all the petting and attention they will soon be getting. It is amazing how friendly and curious these cats are. For the well-being of the general population of cats there is a quarantine area, a sick ward, a transition cage and a few other staging areas, which are separated “enclosures” for new or sick cats. The space has plenty of hiding areas, baskets hanging from trees and baskets on the ground in rows for sleeping. Wooden pallets lying in the tall grass create hideaway areas too. It is peaceful out in the open air with felines purring at your feet, head butting your leg for attention. Guests can come to the sanctuary anytime from 11am to 3 pm. There is a feeding station and outlying litter areas. For a place with so many cats you would expect there to be an overwhelming smell, but there isn’t. The animals are so friendly here that you might decide you need a furry companion. Or you might decide to “sponsor” one that steals your heart. L.A.R.C is always looking for “furr-ever” homes for their “Hawaiian Lions,” as they call them. Even if you can not take one home, this place is definitely worth a visit. Founded in 2008 by Kathy Carroll, L.A.R.C. was (and still is) a labor of love. Many years before, she recognized that there was an overpopulation of cats on the island and decided to organize a quarterly TNR program (Trap, Neuter, Return). She organized volunteer vets and volunteer community members to trap the animals, spay or neuter them, give them dewormer and flea treatment and release them back where they had been trapped. Because of her efforts the cat population on the island of Lanai is infinitely smaller than what it could be today. Since the sanctuary was built many of the homeless and feral cats around the island have been relocated to the sanctuary. Yet, it is amazingly calm at the sanctuary. There is an occasional cat fight, but most of the felines have found a way to survive together, after all… they do live in a kitty paradise. Directions once on Lanai: Take Kaumalapau Hwy west out of Lanai City past the airport. Turn left at the second dirt road on your left. There will be an engraved rock that says “Kaunolu.” Take this turn and stay to the dirt road on the left and drive up. You will see the gate to L.A.R.C. on the right side of the road less than a quarter of a mile up the road. L.A.R.C is open from 11 am to 3 pm daily. If you would like to help this sanctuary from afar or you would like to learn more about the programs and adoptions that they provide, visit www.lanaianimalrescue.org. There is one location on Maui that is a one stop shop kind of place. A place that ‘has it all’. A place where you don’t know what treasures you might find. That place is: The Maui Swap Meet! Even its location is beautiful, if you look up while shopping. You will be looking at I’ao Valley in the distance. The clouds usually hover just around the peaks of the West Maui Mountains and sometimes sink down into the valley, creating a beautiful landscape. The ocean is very close by; it is about a 3-minute walk. Tourists as well as locals can enjoy a visit to the Swap Meet. It is a great way to spend a Saturday morning. The Swap Meet happens on the grounds of the University of Hawaii Maui Campus every Saturday morning from 7 am to 1 pm. It costs $0.50 cents to get in; children 12 and younger are free. It is an outdoor event, yet very rarely does it get cancelled because of rain. The early bird definitely gets the goodies here! If you arrive after 11 am you will find some vendors sold out and some packing up. Another reason to go early is because the later it gets, the hotter it usually gets as well. Don’t forget the sunscreen or a hat, you will want a little protection from the sun. The Swap Meet has been happening on Maui for over 30 years. It has been at its current location at the college campus for about the last 5 or so years. It was previously held in Kahului in a vacant lot next to the local post office. It probably grew too big for that area and traffic and parking created some issues. Now there is plenty of parking at the college, which is good, because this place gets busy. When you enter you will see rows and rows of tents with clothing, jewelry, sunglasses, souvenirs, wooden carvings, art work, jams, jellies, spices, produce, fresh cut flowers, and plants. You will find booths where you can get a massage, some reflexology, or a tarot reading. It is also a meeting ground for many local food trucks and vendors. There are fresh juices, teas, gourmet donuts, gourmet popsicles, gourmet hot dogs, etc. The food is always good and there is a variety of options to make even a large group of people with differing appetites happy. There is local Hawaiian food, Indian food, Filipino food, Mexican food, even vegan food, and the list goes on. Besides the prepared foods there is also fresh produce, and the selection is fantastic! Some of the best you will find on the island. You can find anything from multiple varieties of bananas and plantains, avocado, tomatoes and squash to local strawberries, coconuts, macadamia nuts, taro, turmeric and mushrooms. You can even find some of our more unusual fruits like rambutan, noni, sapote, dragonfruit, white guava and lilikoi when in season. So stop by and seek out some of the delightful treats and treasures that Maui has to offer at the local Swap Meet. Hawaii is one of the most popular honeymoon destinations in the world. The islands’ tropical climate, beautiful white-sand beaches and scenic views create the perfect setting for a romantic getaway. Here are some ideas of what you can do during your honeymoon in Hawaii. Visit a luau. A luau is a traditional Hawaiian feast combined with a dinner show. Luaus are usually held in a romantic setting (usually near the beach) in the dim light of the setting sun. It is a feast of life, a way of celebrating any special occasion, such as your honeymoon. Luaus take place on the four main Hawaiian islands of Oahu, Maui, Kauai and the Big Island of Hawaii. You’ll be able to taste traditional Hawaiian delicacies as well as standard American fare if you’re less adventurous, sip tropical cocktails and watch a Polynesian show with music and dances from various Polynesian island nations, including Hawaiian hula performances. Go to a dinner cruise and sail into the sunset with one of the many romantic cruises that are offered in Hawaii. Most of the dinner cruise providers will try to impress you with Polynesian entertainment aboard, local or international cuisine, drinks and friendly service. But what’s most impressing is the panoramic island views that will reveal in front of you as you cruise along the shore. If you happen to take a cruise during the whale season (November to March) you may even see breaching whales. Rent a car for a day and explore the island on your own. All Hawaiian islands are unique and offer numerous scenic drives. Visit popular attractions or stop at a remote beach where you can enjoy more privacy and the company of each other. If you prefer someone else to do the driving, do a guided island tour instead. Listen to live Hawaiian music. If you are staying in Waikiki or another resort area you will most likely find live Hawaiian performances right there. Many of the hotel bars and restaurants have nightly entertainment with live Hawaiian or contemporary music. You can also pick-up free brochures and island magazines at the airport that will give you an idea of what else you can do in Hawaii. Hanauma Bay is probably the most popular snorkeling spot not just on Oahu, but in the entire state of Hawaii. About a million people come here every year. Located on the southeastern shore of Oahu, the bay has crystal clear waters and a coral reef that is home to numerous fish, many of which are endemic to Hawaii (found nowhere else in the world). The fish at Hanauma Bay are quite tame, meaning that they aren’t shy around humans. So you’ll be able to swim right next to them and watch them feed on the reef. Especially the parrotfish are fun to watch as they scratch algae off the reef (you can literally hear them chew!). The nice thing at Hanauma Bay is that you don’t have to swim out far to see the fish. You can literally stand in chest-deep water, put your head below the surface and see the fish. Venturing out into the deeper waters of the bay is recommended for advanced snorkelers only. Located on Oahu’s leeward (west) coast near the Ko Olina resort area, Kahe Point is a snorkeling destination unlike any other on the island. A power plant across the beach uses seawater as a coolant and then discards this water through a pipe out into the ocean. Since this water is warm, it attracts a wide variety of fish as well as turtles. No need to worry that the discarded water is dirty. It is just used as a coolant and is clean. You’ll also see boats anchor here. 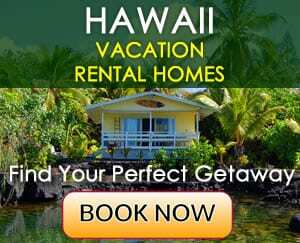 These are tour companies that offer cruises along Oahu’s leeward coast and many of them stop at Kahe Point as this is one of the best snorkeling spots along this coast. Keep an eye out for boat traffic if you plan to snorkel here. This bay on Oahu’s North Shore is a great snorkeling spot, but only in the summer months. In winter the surf is up on Oahu’s North Shore and this is when the ocean is too rough for snorkeling. When the ocean is calm you can see many colorful tropical fish here. It’s a good idea to wear fins or reef shoes as the cove has a reef and is surrounded by sharp rocks. And no need to worry. You’re not likely to encounter any sharks inside the bay. Shark’s Cove got its name from a popular story that says that the outline of a reef outside the cove looks like a shark when seen from above. Only 150,000 years old, Diamond Head is an extinct volcano and one of the most photographed attractions on Oahu. In fact, it is a worldwide symbol of Hawaii and Waikiki, made popular in numerous movies and on postcards and wall calendars. Because of its unique geological history, Diamond Head was declared a National Natural Landmark in 1968. If you are feeling fit, a hike up to the summit of Diamond Head is a must-do while on Oahu. This moderate 1.5-mile (2.2 km) hike leads up along a steep narrow trail with many switchbacks, steep stairways and a dark tunnel. The trail was recently renovated and made easier. Going through the dark tunnel now is optional because there is a new easier paved path and stairs that lead to the top. On your way up, you will get to several lookouts from where you can enjoy beautiful south shore and mountain views. Wait until you get to the summit where stunning 360-degree views of Honolulu, Waikiki Beach and the blue Pacific await. On clear day you can even see the neighbor islands of Molokai and Lanai on the horizon. It takes 35-45 minutes to reach the summit, and there isn’t much shade along the way. So bring a hat, sunscreen and water. To avoid the crowds and hot temperatures, it is best to come early in the morning. The park is open from 6 am to 6 pm. There is an admission fee of $1 per person (or $5 per car). There are also guided Diamond Head tours departing from Waikiki that include roundtrip transportation. Admission to the Pearl Harbor visitor center and the USS Arizona Memorial is free, however, you need to get a ticket to board a US Navy shuttle boat that takes you to the Memorial. Around 4,500 tickets are available daily, but they are usually all taken around noon, so if you come in the afternoon, it might be too late. On the ticket is shows the shuttle boat departure time, and usually you’ll have to wait an hour or two and sometimes even longer before it’s your turn (depending on how many visitors there are that day). So if you come in the morning and get a ticket with an assigned time in the afternoon you will have enough time to explore other visitor attractions at Pearl Harbor. While waiting you can explore the visitor center where you will find interesting exhibits and information about the Pearl Harbor attack. There is also a bookstore and a snack shop. Right before you board the shuttle boat that will take you to the Memorial, you will be taken to the Pearl Harbor Memorial Theater where you will watch a 23-minute documentary film about the attack. One important thing to keep in mind when visiting is that purses, bags and other personal belongings are not permitted at Pearl Harbor. You can only bring a camera. Many visitors come to Pearl Harbor with a tour group. Pearl Harbor tours include roundtrip transportation from Waikiki hotels, tickets to the USS Arizona Memorial (so you will not have to wait in line) and a local tour guide who will provide narration. Some tours include admission to other Pearl Harbor attractions, such as the USS Missouri battleship, the USS Bowfin submarine and the Pacific Aviation Museum. Other Pearl Harbor tours include a visit to other island attractions, such as downtown Honolulu, the Dole Plantation, Oahu’s North Shore and more. Unlike the popular Hana Highway (Road to Hana), the Kahekili Highway (Hwy 340) is one of Maui’s lesser-known scenic drives and for good reason. It traverses a remote area on Maui, the coastline between Honokohai and Waihe’e. On some tourist maps Kahekili Highway is labeled as an ordinary state road and it may appear to be a faster route from the Kapalua area in West Maui to Kahului since when looking at its length, it is indeed shorter in terms of distance. However, you won’t be able to drive faster than 20 mph and in many areas it will be more like 5 mph. That’s because the Kahekili “highway” is more like a goat trail, especially around the village of Kahakuloa (between mile 14-15 and 10-12). It is mainly a narrow, curvy, cliff-hugging one-lane road without guard rails. There are occasional pullouts if a car is coming from the opposite direction. Yes, it is a scenic drive with beautiful views of Maui’s rugged undeveloped northeastern shore, but it is definitely not for the faint of heart, not for aggressive or impatient drivers or for those afraid of heights or steep drop-offs. Also, it’ll be to your benefit if you feel comfortable having to back up your car under these road conditions or drive within an inch of a cliff wall to let an oncoming car squeeze by. Make sure you’re not violating your rental car agreement (ask the rental car company if they allow their cars to be driven on this road). A four-wheel drive is not necessary since the road is paved. Rent a small car. Big vans or SUVs are more difficult to navigate on this very narrow road, especially since it’s just barely one lane wide but with two-way traffic. Make sure you have enough gas in your tank. This is a remote area with no gas stations along the way. Begin your journey from the Lahaina/Kaanapali side. Like that you’ll be driving on the inside of the road along the cliff and not along the edge. You’ll also be able to look farther ahead of the road to spot oncoming traffic and your passenger will be less frightened. Don’t do this drive in the dark. Start early enough so you’ll reach your destination before the sun sets. Also, it’s best to do this drive on a sunny day as rainfall makes the road slippery. Keep in mind that the driver will have little opportunity to enjoy the views since there are few places to pull over and the eyes will have to focus on the road while driving. And finally, make sure you’re rested and alert before heading out. It takes at least two hours driving time (not counting stops) from West Maui to Kahului. Not to be confused with the Road to Hana, Maui’s most popular scenic drive, which many find challenging because of its 46 one-lane bridges and 620 curves, but is nowhere near as intense as the Kahekili Highway. Points of interest along the way include Honokohau Bay, Nakalele Blowhole and Kahakuloa Head, which is located at the remote Kahakuloa village. The village is quite picturesque with an old church and fishing houses overlooking a curved bay and black-sand beach surrounded by lush vegetation. If you enjoy scenic drives but are not up to doing this trip on the Kahekili Highway, there’s good news because Maui has many other beautiful areas that are more easily accessible. For an almost otherworldly experience, the Crater Road that leads up to Mt. Haleakala is fascinating, as you could easily get the idea you’re driving up into heaven or on the Moon. And then there is of course the popular Road to Hana, which is less than 15 miles away (linear distance) from Crater Road, but the complete opposite with its super lush surroundings. If you’d rather not drive yourself but let someone else do the driving, consider booking a tour. Like that you enjoy the scenery instead of focusing on the road. There are tours that go up Crater Road to visit the summit of Mt. Haleakala and other tours explore the Road to Hana and its many interesting sights along the way. Visiting Oahu for the first time? There are so many things to do and see here. Here are our recommendations for first-time visitors to the island. Pearl Harbor – Pearl Harbor is the most popular historical attraction in Hawaii. More than 1.5 million visitors a year from around the world come here to pay their respect to those who perished on December 7, 1941, in the attack on Pearl Harbor. The most visited monument here is the USS Arizona Memorial, a resting place of 1,102 soldiers who died aboard the USS Arizona battleship. Other top Pearl Harbor attractions are the USS Missouri battleship, the USS Bowfin submarine and the Pacific Aviation Museum. Visiting the USS Arizona Memorial is free, but you will need to wait in line to get tickets. Other attractions at Pearl Harbor have admission fees. Many visitors come to Pearl Harbor with a guided tour group. All tours include roundtrip transportation, a tour guide and narration, admission tickets (so you don’t have to wait in line) and admission to other Pearl Harbor attractions (if included in the tour description). One thing to keep in mind when visiting Pearl Harbor is that visitors are not allowed to carry bags and other personal items inside the park. You can only bring a camera (without bag) with you. Circle Island Tour – You can get a good overview of the island in one day. Many local tour companies offer Oahu circle island tours that will take you to island’s best beaches and top island attractions. A tour around the island usually takes 8-10 hours and begins around 7:30 in the morning when a tour bus will come to pick you up from your hotel. Most of the tours include a professional guide that will tell island stories and point out things of interest along the way. A circle island tour usually includes a visit to the Dole Pineapple Plantation, North Shore Oahu beaches (Sunset Beach, Waimea Bay), the Nuuanu Pali Lookout, Makapuu Lookout and more. Many of these tours start with a visit to Pearl Harbor’s USS Arizona Memorial. Neighbor Island Tour – You have crossed the Pacific to come all the way to the beautiful island of Oahu. All Hawaiian islands are different and unique so it is nice to visit at least one more Hawaiian island while here. For example, you could visit the Big Island of Hawaii for a day, where you can see one of the most active volcanoes in the world. Hawaii Volcanoes National Park is Hawaii’s number one attraction. Hike Diamond Head – Diamond Head is one of the most popular attractions in Hawaii. People hike to the top of this extinct volcano to enjoy amazing views of Honolulu, Waikiki and the vast ocean. On a clear day you can even see the neighbor islands of Molokai, Lanai and Maui on the horizon. There are a few tours that will take you to Diamond Head. Most of them go there during the day when it is usually busy and hot. There is one unique sunrise tour that goes at 6 in the morning before other tours groups come. Go to a Hawaiian Luau – Visiting a Hawaiian luau is on the to-do-list of many Hawaii visitors. A few good luaus take place on Oahu; some of them are held on secluded beaches, others directly in Waikiki or at the Polynesian Cultural Center, Oahu’s number one paid attraction. If you want to spend a day learning about Hawaiian and Polynesian cultures, their customs and traditions, the Polynesian Cultural Center is a fun place to explore. Tours to the Polynesian Cultural Center usually include roundtrip transportation, the admission fee and luau tickets. Swim or Snorkel at Hanauma Bay – Hanauma Bay is the most popular snorkeling destination in Hawaii. Here you can see plenty of colorful fish, a coral reef and unique marine life. Since the bay is very popular the Hanauma Bay parking lot fills up quickly. If you go with a tour group, you won’t need to worry about parking. Tours include roundtrip transportation from Waikiki, as well as snorkel gear – a high-quality silicon dive mask, snorkel and fins.